-- when I can walk out the door of my school and know that I had a fantastic day, and can pinpoint exactly what made the day awesomeness. 1.) 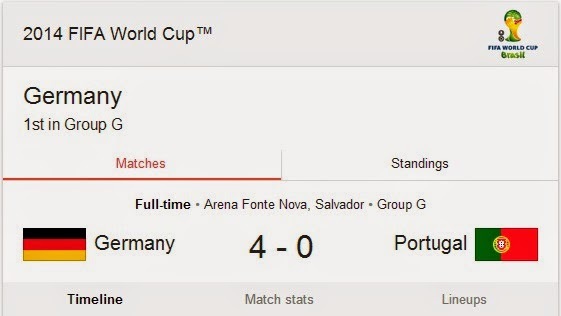 Germany dominating in World Cup action! 2.) This video of Sophs playing the Vuvuzela. This fury of air and the swarm of bees-like sounds went on for about an hour. Good grief. 3.) Reminiscing about the deep-fried Oreos Harry, Sophs and I shared at the 6 Corners BBQ Fest this past weekend. 5.) I got some ZOOMA sponsor love in the mail! I sure lucked out, in that my favorite socks on the planet are also sponsors of the ZOOMA race series! Thanks, Feetures! 6.) This showed up in my newsfeed on Facebook. Bless! 7.) There's such a juxtaposition of a couple of emotions within this song, and those emotions depend on how you feel at the moment when you're listening to it. For me, that's the beauty of it; you can feel fear and relief, bitterness and hope, sadness and happiness, or a myriad of other mixtures of emos. One thing is for certain, it will make you feel better about a bad thought or a rotten day, and makes you realize just how blessed you are to be in this world. It also makes you feel like you have to be a big kid about things, and the right thing to do is keep on keepin' on. Harry and I are watching USA vs. Ghana this evening. Y'all enjoy the rest of this incredible Monday! Did something make you smile today? Tell me about it! Random: What's your favorite dessert? Dude you be livin life right! I love feetures too (I have wwaaaaaaaaaaaaaaay too many pairs). Yesterday I ran back from the car dealership (about 3.5 mi but it was a good distrance because I was worried about my foot etc and it ended up being ok). And then I went to yoga with my favorite instructor in the pm and it was ah-mazing. So much hip openingd. Your posts make me smile because the places you mention bring back memories of my childhood. My grandparents lived in the area you do and we hit up 6 corners all the time. And the Portage Park pool. Fun! BBQ fest sounds good! I really need to get to some festivals this summer. We have cheese fest, strawberry fest, chicken fest...plus all the county fairs. Not good for the waistline, but the food there is so yummy!